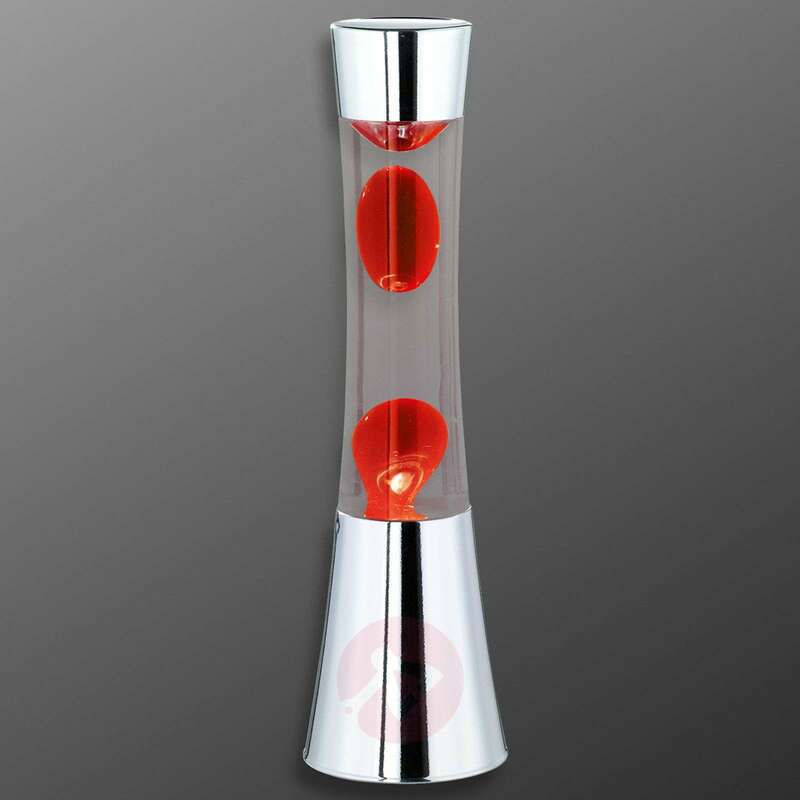 Its look stands out from the rocket shape of well-known and popular lava lamps. The frame's glossy chrome plating looks very modern and rich in contrast compared to the red lava bubbles and the transparent fluid. Bubbles of many different sizes and shapes float up and down in the liquid, separate and merge together again - a spectacle that not only captivates adults but also astounds children. 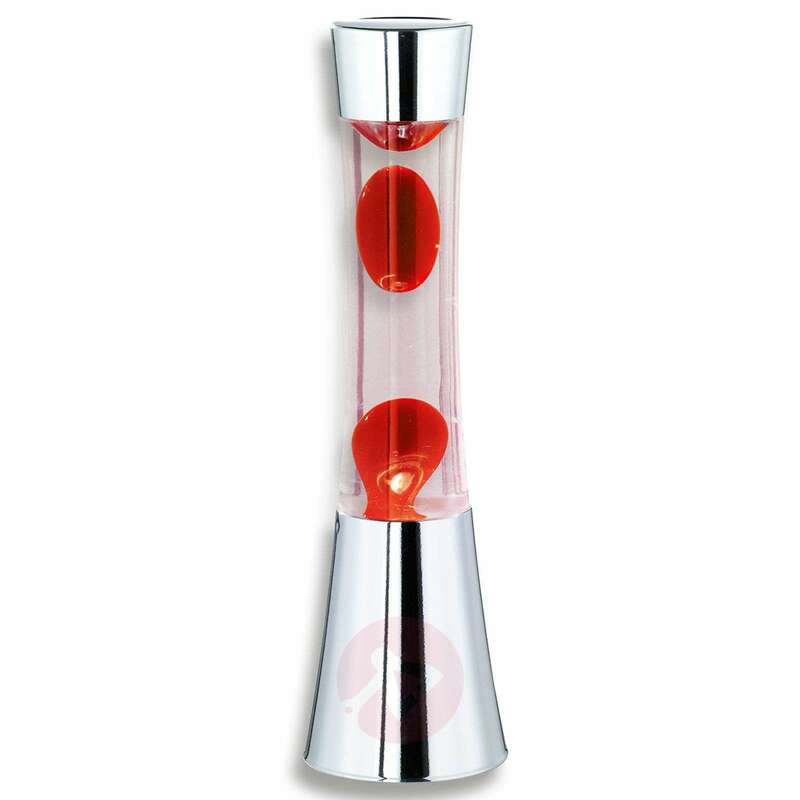 The lights are tested in accordance with DIN EN 60598-2-10 (child light ordinance) and is approved for use in children's rooms.